Say what you will about publisher Activision, but under their watch they successfully reinvigorated the Spider-Man video game franchise with developers Neversoft and Treyarch at the turn of the millennium. After the release of 2005’s Ultimate Spider-Man however, things seemed to be taking a downward spiral in terms of quality for the once well-regarded franchise. 2007’s Spider-Man 3 was no where close to matching the quality of Spider-Man 2 despite the horsepower of the then new PlayStation 3 and Xbox 360 hardware; The family-friendly Spider-Man: Friend or Foe, also released in 2007, is best forgotten and the next attempt after that to capture the Spider-Man 2’s magic, 2008’s Spider-Man: Web of Shadows was an average at best game that didn’t really remind us why we all feel in love with Spider-Man as a video game character so much. 2009 came as a turning point for comic book video games when Eidos Interactive published the award-winning Batman: Arkham Asylum, a game that would forever raise the bar for licensed games moving forward. No longer could Activision rest on their laurels and simply try to remake Spider-Man 2 ad nauseam; A new take on the formula was required for Spider-Man to stay relevant in a post-Arkham world. 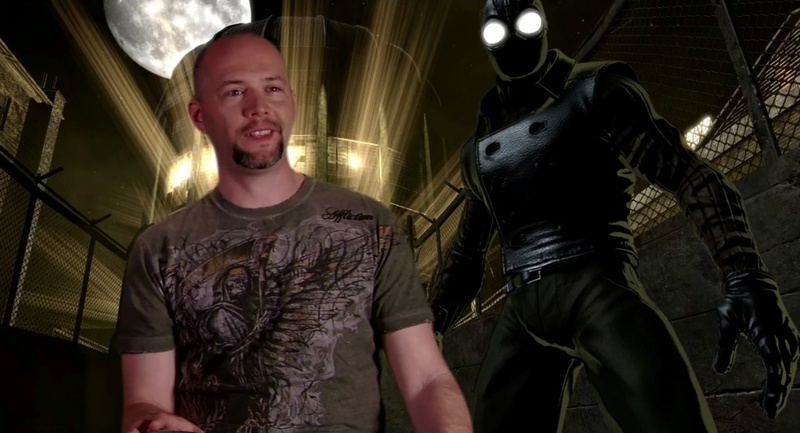 In came Canadian developer Beenox, a studio that had ported Spider-Man game to other platforms but never developed one from the ground up. There idea for the next chapter in Spider-Man’s video game legacy was as risky as hiring a first-time developer to handle its creation. Lucky for us that the finished product is the greatest Spider-Man game to date. Spider-Man: Shattered Dimensions on paper sounds like a flimsy gimmick in which to base a game around. The story revolves around the classic villain Mysterio who in a failed robbery attempt by none other than the Amazing Spider-Man ends up fragmenting an ancient relic, the Tablet of Order and Chaos, which grants the holder of even a small portion of it incalculable power. In order to prevent the tablet from falling into the wrong hands, Madame Web recruits four Spider-Men from across the multi-verse to reassemble the tablet and prevent the destruction of both time and space. In less capable hands, this story sounds like a cheap ploy to sell a game by not having one, not two, not three, but FOUR Spider-Men for the price on one! But when you look at the credited story writer for this game, current Spider-Man writer Dan Slott, you’ll see it for what it really is: A love letter for all things Spider-Man, something that reads as clear as day in everything that Slott has written since becoming the sole writer of the now fifty year old character. Each scenario brings the player up to speed immediately on the characters who inhabit their respective dimension for those who may not have realized that there have been so many varied takes on the character over the years. In fact, it was this game that got me to pick up collected volumes of Spider-Man 2099 and Noir because I wanted to know more about them upon finishing this game. As mentioned already this game contains four different takes on Spider-Man: The Amazing Spider-Man, i.e the one everyone is familiar with, Spider-Man 2099, Spider-Man Noir and the Ultimate Universe’s Spider-Man. The great thing about all of the heroes is that they’re all voiced by people who have voiced the character over the years in one form or another: Neil Patrick Harris, who voiced the character in the short-lived 2003 MTV series “Spider-Man” is The Amazing Spider-Man; Dan Gilvezan from Spider-Man and His Amazing Friends fame performs as Miguel O’Hara, or Spider-Man 2099; Christopher Daniel Barnes, the Spider-Man I grew up with from the 90’s animated series returns as Spider-Man Noir and last but definitely not least is Josh Keaton as Ultimate Spider-Man, coming off his role as Spider-Man from the beloved Spectacular Spider-Man animated series. All do great jobs with the roles, though Gilvezan as Spider-Man 2099 seems too much like The Amazing Spider-Man in his tone and jokes, something I don’t associate with the more serious and sarcastic Miguel O’Hara and why I’m glad he was replaced by Daniel Barnes in the follow-up, Spider-Man: Edge of Time. 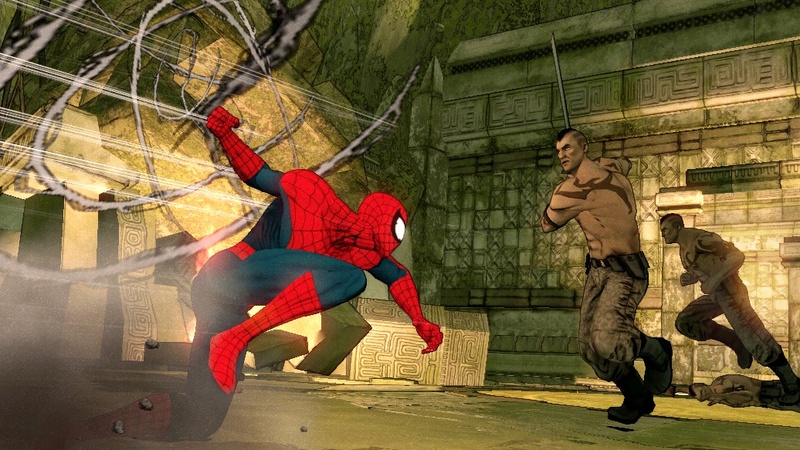 The reunion doesn’t just apply to Spider-Man but to the villains in the title as well: Steve Blum, the Green Goblin from Spectacular, voices another Goblin, Hobgoblin 2099; Veteran actor Jim Cummings returns as Kraven the Hunter from the 90’s Spider-Man animated series; Jennifer Hale, who started as Felicia Hardy/The Black Cat on the 90’s series reprises Silver Sable from 2005’s Ultimate Spider-Man; John DiMaggio, one of the most prolific voice actors working today returns as Hammerhead from the Spectacular Spider-Man, albeit this time in the Noir universe and finally Nolan North, the voice of Deadpool from the “Hulk Vs.” animated feature reprises the role once again that he would in the future take on for the Deadpool game, also from Activision. None of the fan service and story would account for anything if Shattered Dimensions isn’t fun to play and in that department, it doesn’t fail either. For the better part of a decade Spider-Man games were open world affairs where the primary emphasis was on web-slinging around New York with the occasional stop to complete a few side-missions and punch some bad guys, a trend Beenox thankfully bucked. Shattered Dimensions is divided up into levels; Three each for the characters and then a final boss level. While it may seem like a downgrade to have a structure akin to Spider-Man games on the PSOne, it makes the game as whole more focused. The levels themselves feel like the issues you would read as part of a event comic series with the game serving as the collected edition. A stage will set up a conflict with a famous Spider-Man villain and in between the start and the inevitable showdown, you’ll accomplish some basic sub-objectives like swinging some people to safety, but mostly punching a lot of bad guys. Combat really is the name of the game in this Spider-Man outing and it feels like a character action game that happens to star Spider-Man. That would be considered a negative if fighting enemies didn’t feel so good. 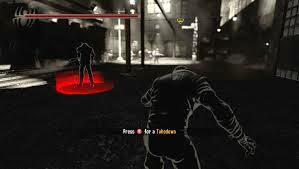 You have two attacks, a light and heavy, and both feel powerful when successful blows are landed. 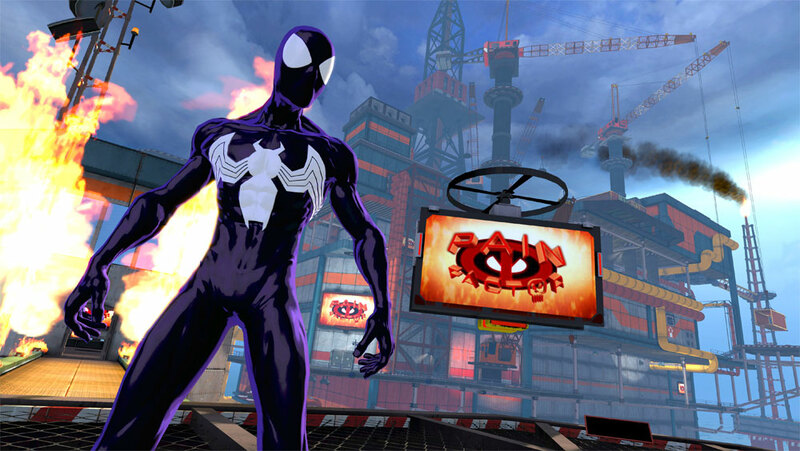 Every Spider-Man has the same basic combat structure that makes it easy to transition from one character’s universe to the next but Beenox also added in character specific hooks that allow each to have their own distinct feel: Ultimate Spider-Man for example is in the black-suit symbiote costume and can unleash a rage mode by hitting a bumper while 2099 participates in some free fall sections and can slow down time somewhat with his accelerated vision. The standout of the four is Spider-Man Noir as in this universe combat is downplayed in the favor of stealth and I really wish that someone would turn this into its own game. You stalk enemies from all angles and perform various take-downs by hitting the “B” button when prompted which rewards the players with some excellent trap animations like webbing an enemy to a wall or dangling them from up high. This part of the game feels like a knee jerk reaction to the predator segments found in Batman: Arkham Asylum with a Spider-Man twist, but it’s a welcome addition to the combat heavy other universes. Additional combos, health and upgrades can be purchased from a menu for all of the Spider-Men with currency being earned by finding spider tokens or by completing challenges in the “Web of Destiny,” which happens to be one of my favorite aspects of this game. For every stage you’re given a series of challenges, some are as simple as collecting enough tokens while others will test your skills with the games mechanics like taking down so many enemies as Spider-Man Noir without being seen or by defeating enemies a certain way. These challenges convince the player to change-up their tactics with the reward being bonus currency to power up their roster or purchase new costumes. 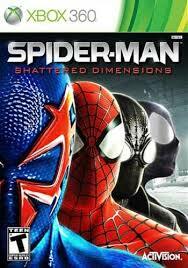 An issue I have with the open world Spider-Man games is that it gets boring playing around in the same recreated New York over and over again which is a problem you won’t find in Shattered Dimensions. The four worlds have their own art style: The Amazing and Ultimate universe are bright and colorful with a gorgeous cel-shaded look, contrasted with the cyber-punk feel of the 2099 universe and the black and white 1930’s aesthetic found in the Noir universe. The differences are not found only between dimensions, but within them as well with the most variation found in the Amazing and Ultimate universe where you’ll travel to a jungle, an abandoned oil rig which also happens to be the home of Deadpool’s reality show “Pain Factor” and a quarry that happens is being controlled by a tablet powered Sandman. When it was released in 2010, Spider-Man: Shattered Dimensions was a well-needed invigoration of the Spider-Man video game franchise that still stands today as the single best video game starring the character to date. If Activision wasn’t so concerned with pumping out movie tie-in games and another annual franchise, I would have loved to see what Beenox would’ve accomplished with some more time to further develop the ideas presented here, especially with so many other characters to draw from like the Scarlet Spider, Miles Morales and Agent Venom. Perhaps in another universe this came to pass, but in the case of ours, I’m thankful that Spider-Man: Shattered Dimensions exists. 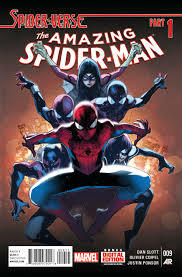 Now if you’re a fan of this game and the idea presented in it, I encourage you to pick up Amazing Spider-Man #9 this week, the start of a new event called “Spider-Verse” where literally every Spider-Man ever must team up to fight against their extinction from a group of people who are hunting spider-powered individuals and consuming them.